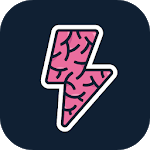 Brain Up Daily Knowledge App is here to help you. We provide you new videos, book summaries and articles everyday to help you learn. 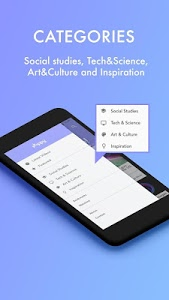 BrainUp Daily Knowledge App helps you learn by providing you bite sized educational content on a variety of topics like Science, Economics, Business, Entrepreneurship, Mathematics, Self-Help, Motivation and much more. We all know how junk information is everywhere on the internet and it's a struggle to find meaningful content that we like to read or watch . 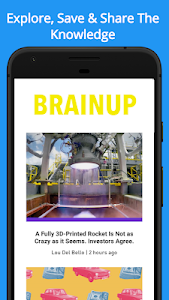 BrainUp Daily Knowledge App helps you solve this problem easily. 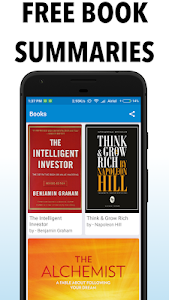 We provide you the best content and book summaries everyday to help you learn and get smarter whether you're commuting or just procrastinating. BrainUp Daily Knowledge App is the best app for starting your day with something meaningful, just ask any of our reviewers . We understand that not everyone learns the same way. Hence, we provide you content in the form of book summaries, articles and videos. However you like to learn, we're here for you. In this busy and fast paced world, begin your journey into self improvement in just 5 minutes a day. 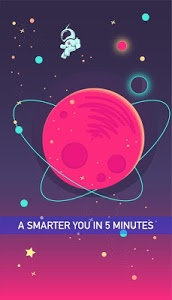 BrainUp Daily Knowledge App is an extremely addictive app and will get you addicted to learning. That's our guarantee! ✓ Many categories are available. All content is neatly organized for your convenience. 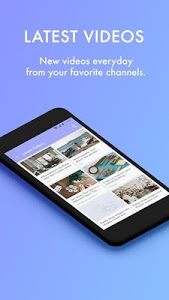 Similar to "BrainUp Daily Knowledge App"